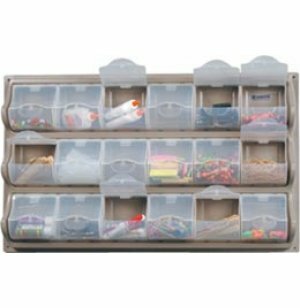 Neatly Store Arts & Crafts Supplies! 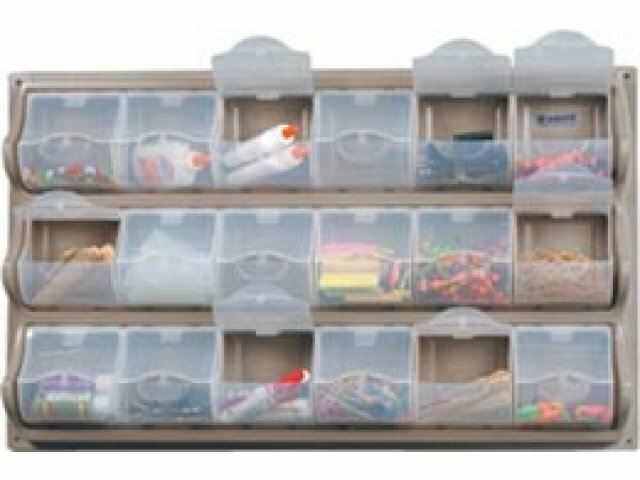 The Panel Bin units store crayons, glue containers, scissors, ice cream sticks, or whatever in these virtually unbreakable see-thru plastic bins. Each bin provides easy access and protection against exterior dust. Bins securely snap closed with an audible click. Screws and anchors included for easy mounting to any wall. Bins measure 4.67"W x 4.75H x 4.75"D.